A few years ago (I think two but maybe three? 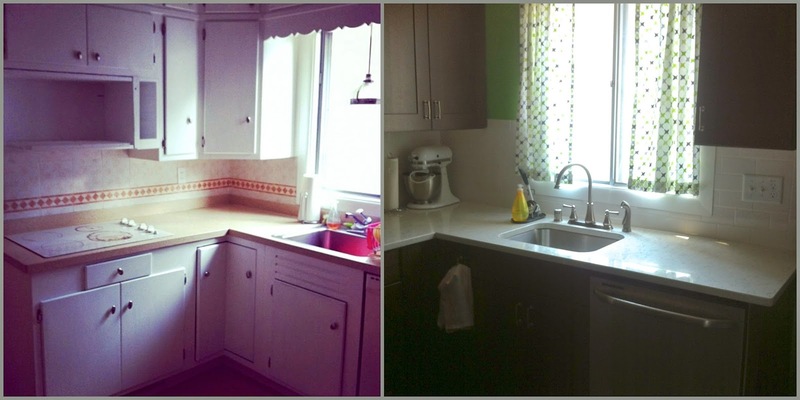 ), we redid our kitchen. I loved every change we made and am so happy that we did it (even if we did have to host Christmas with no countertops and a fridge in the dining room). 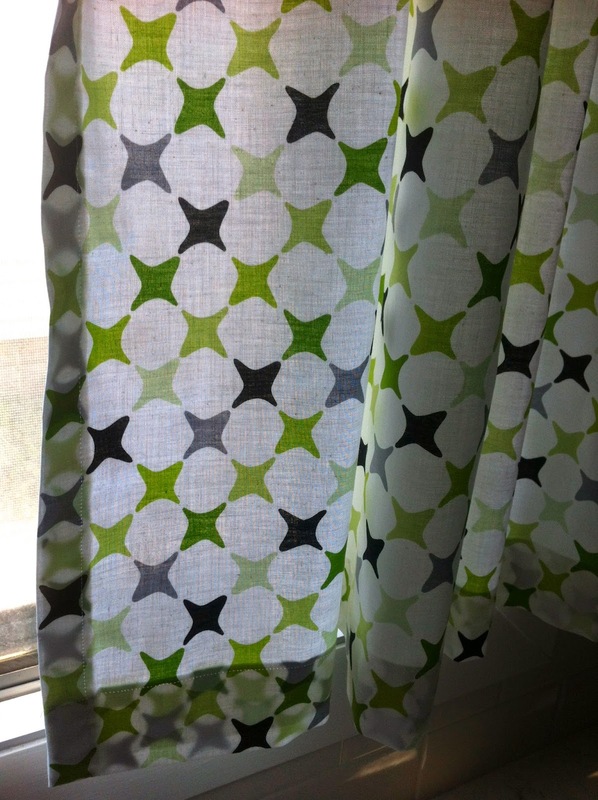 Ever since the renovation, I have been on the lookout for curtains for this huge (and bright) window over the sink, but NEVER found anything even close to what I was imagining. 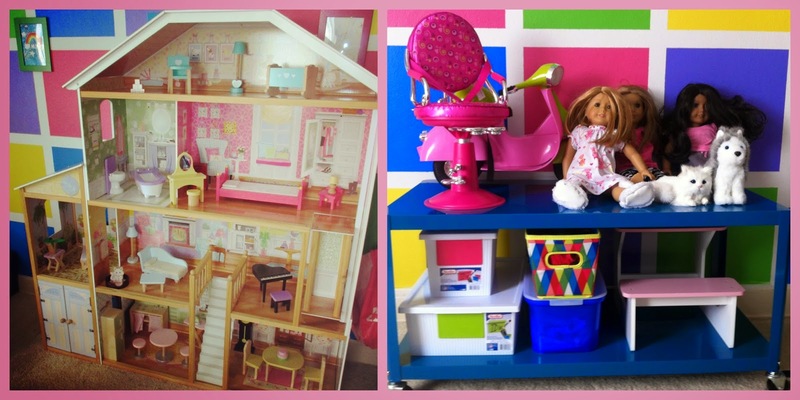 A few months ago, I decided that the beautiful (big, hardly played with, almost mint-condition) dollhouse in the playroom needed to find a new home. The girls played with their American Girl dolls much more and they were stuck up in their room due to space. Moving the dollhouse out of the playroom made room for this smaller cart which has room for the dolls, the bigger accessories and bins of clothes and hair accessories too. I put up pics of the dollhouse all over social media and was so excited when Danielle of Drawstring Studio contacted me. Matt was a little surprised that I had traded a dollhouse for curtains, but it was seriously one of the best trades ever! Danielle was super patient with me in helping me pick the perfect fabric. I wanted a simple, modern print with more than one color, but I didn't want it to be too busy either. 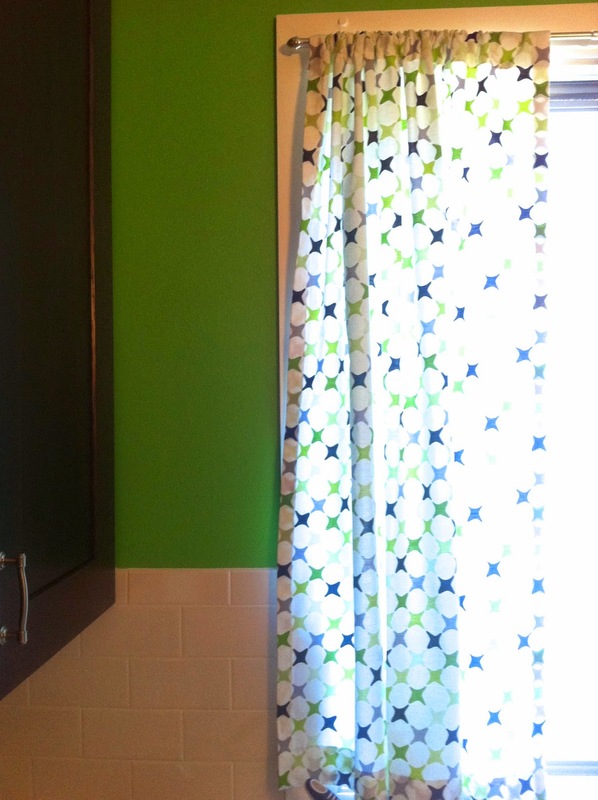 The walls of our kitchen are bright green...the print had to include the green, but not make things brighter. (See, I told you Danielle was patient with me!) I knew this print was perfect the moment I saw it and the curtains are just beautiful (and custom-sized to our window as well). 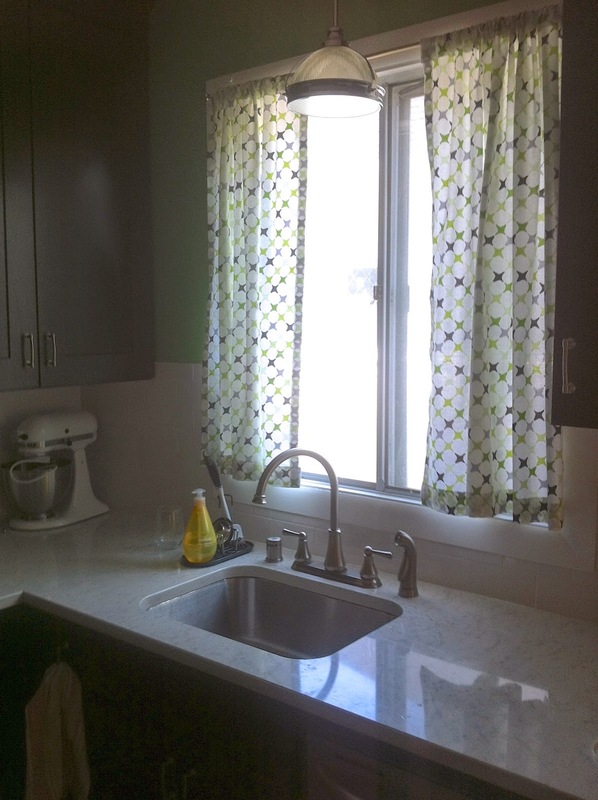 The curtains are the perfect finishing touch to our kitchen makeover. I'm so thankful to Drawstring Studio! Wow, I forgot what the old kitchen looked like. Yikes! Why did we wait so long to upgrade? I like the curtains a lot. Definitely a good barter!